If you ask the average security analyst how they detect threats in Amazon Web Services (AWS), you’ll probably get some blank stares, shrugs or a few mumblings about exposed S3 buckets and bitcoin mining. The problem is that many orgs aren’t fully aware of the risks that exist in their AWS environment, and they’re still learning what they’re responsible for securing versus what AWS monitors. That’s exactly why we love threat emulation exercises and practice them regularly. Simulating realistic attacks in cloud environments help our analysts build muscle memory and prepare them to act quickly and correctly when something bad happens. 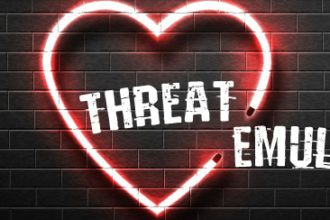 Lots of our customers run at least part of their infrastructure in AWS, so we’ve built quite a few threat emulation exercises that are specific to the AWS environment. They help our analysts sharpen their intuition around AWS services, better understand cloud-based evidence sources and dig into the investigative workflow. Want to create an AWS-focused threat emulation exercise? Here are our tips and tricks for building your own. AWS is a new challenge for security analysts who cut their teeth in traditional enterprise response, so there aren’t many parallels between AWS attacks and the on-prem ones most security analysts are used to investigating. That’s because there are tons of AWS services — over 100 to be exact — each with their own nuances and security implications. As an industry, we’re still learning about areas of risk with each AWS service — think misconfiguration of Amazon S3 bucket access policies and credential theft via Amazon EC2. By building some of these new attack vectors into our threat emulation exercises, we improved our SOC’s ability to investigate and respond to these kinds of attacks when they happen in the real world. 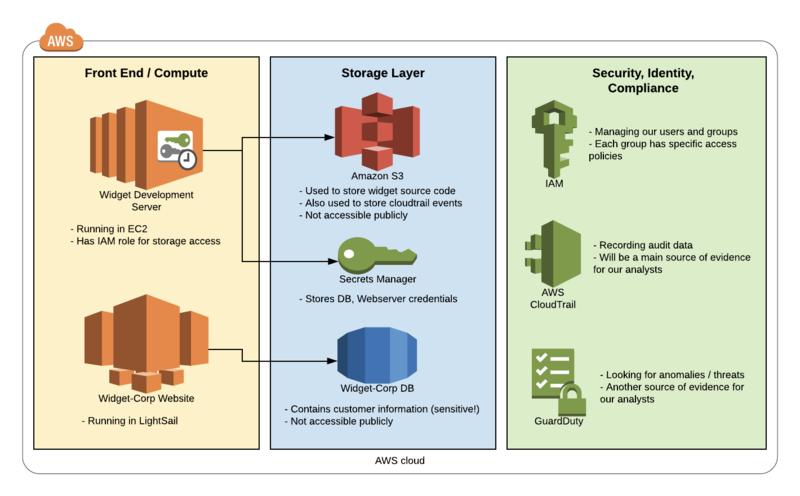 Even if you dedicate time to read through (the admittedly very comprehensive) AWS documentation, it’s inevitably tough to remember it all (and know how to act on it) in a real-world, high-pressure situation. Getting hands-on experience with AWS services like Amazon EC2, Amazon S3 and Amazon RDS helps you commit this information to memory so you’ll be more prepared to act quickly when an attack happens. For example, during threat emulation exercises Expel analysts log into “compromised” EC2 instances and collect forensic information for analysis. Through this process, they get familiar with other sources of evidence from AWS services like Amazon CloudTrail and Amazon GuardDuty. Mr. Widget He’s the CEO of Widget-Corp. Mr. Widget can be a bit intense at times, but all in all he’s a good boss that just wants to lead the booming widget market. His primary concern of late is the activities of Widget-Corp’s biggest competitor – Best-Widgetz. Donna Reynolds Donna is a back-end engineer responsible for managing compute instances and the master Widget database containing sensitive customer information. Gerald Watson Gerald is a front-end web developer responsible for Widget-Corp’s website. James Smith James is a Widget developer who builds and commits Widget source code. Norma Cooper Norma is a Sr. Widget developer and is responsible for final Widget code review. Widget-Corp has moved to the cloud! After one of the servers in the back office closet caught fire and nearly destroyed a fair amount of Widget source code, the executives finally decided that managing hardware in house didn’t make sense. Widget-Corp now runs entirely out of AWS! In fact, their engineers were quite satisfied to discover that there are all kinds of AWS services that make shipping widgets and managing customer data much easier. They were even able to migrate their website https://widget-corp.com to AWS in a matter of hours! Hooray! Widget-Corp CEO, Mr. Widget, has noticed lately that a competitor (Best-Widgetz, Inc) has been releasing widgets to the market right before big Widget-Corp releases. To make matters worse, they seem to be ahead of the curve and are targeting functionality and customers of Widget-Corp! They’ve already lost a few customers … this is not good. Additionally, their front end web developer, Gerald, recently noticed some weird updates to the about section on the website … Mr. Widget is a bit paranoid that something nefarious is going on and has hired Expel to run a surge engagement and identify if there are any signs of compromise in their AWS environment. If Best-Widgetz has managed to get customer data or source code somehow, that would put Widget-Corp at a serious disadvantage! Remember those personas we created? Once our infrastructure was up and running, we generated “normal” activity for each Widget-corp employee. This makes the exercise more realistic because you’ll have to figure out what’s routine (like Donna accessing a secret or James committing source code to an Amazon S3 bucket) versus a red flag. Generating this activity is easy. Just log in and perform the actions you’d expect that persona to do in AWS on a regular basis. Think about the risks that exist in your own environment and use them as inspiration for your attack scenario. In our case, we simulated an end-to-end AWS attack starting with compromised credentials for a low-privilege user and ending in complete access to the environment. It may sound kind of extreme but this kind of attack happens more often than you’d think — attackers often gain access to something small like an API key committed to a public GitHub repository and end up with the keys to the kingdom. In this case, the attacker sees that Mr. Smith wrote some widget source code and uploaded it to S3. Nice! 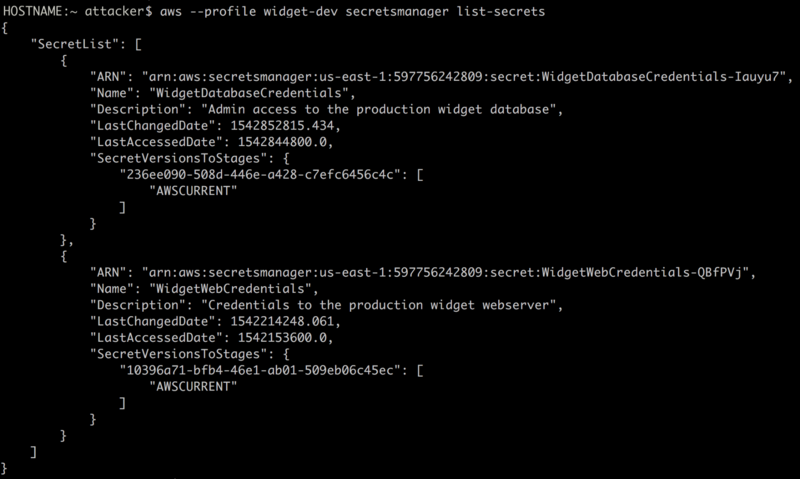 By using curl to access the metadata service at 169.254.169.254, the attacker discovered that the widget development instance is assigned an IAM role EC2DeveloperRole and the attacker can retrieve temporary credentials for this role. Using these credentials, he can search for more company data. Now he’s looking for the Widget Database server and Widget Web server credentials. Mission complete! Now that your attack scenario is ready to go, it’s time to unleash the analysts and see if the team can retrace these steps — highlighting detection gaps along the way. Building out the process that analysts will follow for the exercise is just as crucial as building the infrastructure. All of your hard work will be for nothing if the analysts get stuck and frustrated. Once you have a draft, have someone else on your team who’s experienced give it a read. This will help you identify any ambiguous steps or process gaps — basically areas that need tweaking in your plan — that might trip up your analysts. Once you’ve got your infrastructure up and running and have your simulation ready, press “go” and have your analysts get to work. Schedule dedicated time for your analysts to run through the scenario, answer questions and hopefully learn a thing or two. As your analysts get to work, don’t miss the opportunity for them to practice their communication skills. We’ve had success (and a lot of fun) using the personas we create to inject a bit of chaos. For example, we’ve had Mr. Widget himself call the SOC and request an update on how the investigation is going. 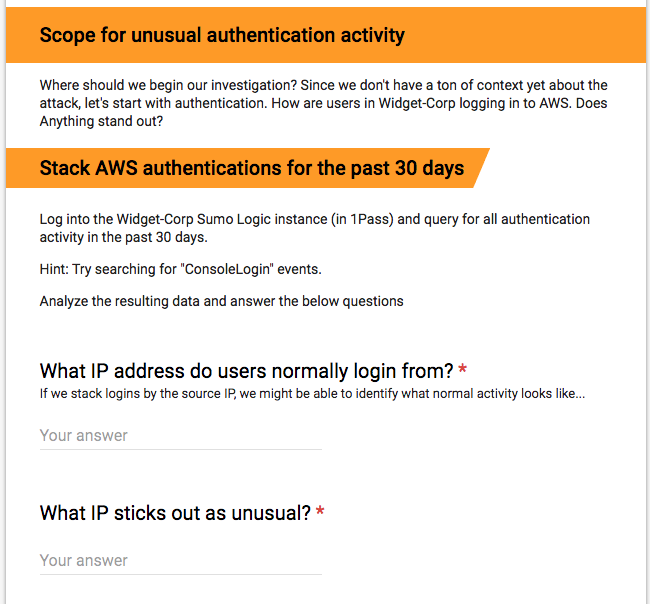 This is a great way to get the team used to communicating about investigations in AWS. After running a threat emulation, it’s valuable to talk as a team about what worked well and what we can do better next time. Don’t fret if the exercise exposes gaps — that’s the point! Document these gaps and see if you can make changes to improve your next exercise. next post: Does your MSSP or MDR provider know how to manage your signals?